Pizza may have originated in Italy, but over the years some things have been lost in translation. Did you know that the word “pepperoni” in Italian is “peperoni”, which translates to peppers? So, if you order a pepperoni pizza in Italy, you will first get a blank stare and then a pizza with bell peppers on it. A bell pepper pizza doesn’t sound so bad, but it’s far from the spicy pepperoni pizza you were craving. Pepperoni, an American version of salami, is made from cured pork, beef, and seasoned with paprika, garlic, fennel, or chili pepper. Pepperoni popped up in the United States when Italian butcher shops and pizzerias became more and more popular in the 1900s. A sort of combination of sausage and salami, the hard, air-dried meat quickly became a favorite pizza topping. So how do you order your favorite pepperoni pizza in Italy? If you want to look a little less like a tourist, try ordering “salame piccante.” It may be slightly spicier than the American pepperoni, but at least it’s not green and yellow peppers. Another menu variety may be listed as “pizza diavola” or “pizza alla diavola”, meaning a devil’s style pizza. This will get you a pie with a layer of cheese, sprinkled with torn pieces of spicy salami. What Are Other Italian Foods That Have Been Lost In Translation? Even though our Italian sub includes a variety of Italian-inspired ingredients, it is by no means Italian. Ordering up this type of sandwich in America will lead to an airy bread filled with layers of hard pepperoni, salami, sometimes capicola, and some sort of cheese, lettuce, tomato, onions, olives, and more! The authentic Italian sandwich is a panino, a baguette with cured prosciutto, mozzarella, and some slices of tomato. The simple sandwich is still satisfying and absolutely fills your need for a chewy bread. When families venture into an Italian restaurant in the United States, they will frequently find a basket of steaming bread, a saucer of olive oil and vinegar or balsamic, and grated cheese. Sitting in a restaurant in Italy, you will be fruitlessly waiting the whole meal for this American custom. Bread is served plain, and only until your meal has arrived do Italians start eating the bread. The containers of olive oil, vinegar, and balsamic on the table are only meant for a first-course salad, which is served without dressing. Do you like a cup of coffee in the morning with some milk? If you think an Italian cafe is the same as a Starbucks, think again. Ordering up a Venti (twenty) Latte (milk), you will get twenty cups of milk. They also don’t have the varieties of flavors and combinations: caramel, mint, etc. 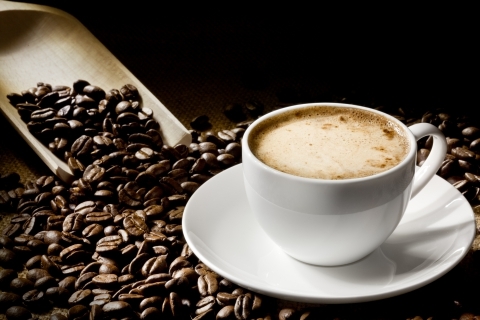 If you would like a cup of coffee with milk, order a caffè latte. You will typically find cappuccino and caffè/espresso. But don’t expect when you order a caffè to find a large cup of filtered, drip coffee. You will be given a small cup, or a shot, of espresso. 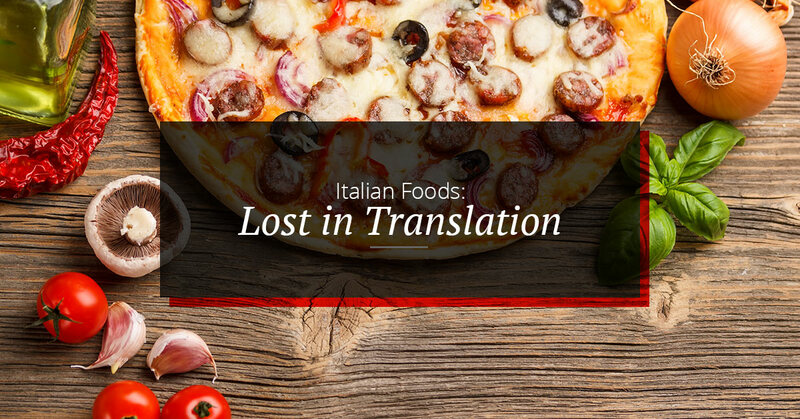 The good news among all of these foods being lost in translation is that when you order a pepperoni pizza at our restaurant, you will get exactly what you’re expecting and craving. Our Italian subs are everything you’re dreaming of, and our salads are tossed in a delicious and light dressing. When you’re looking for gourmet pizza in Santa Fe, when you want a steaming slice of chewy crust, stretchy cheese, and spicy pepperoni, come to Upper Crust Pizza.